What are your favorite Iphone/Android GAME apps? *Flow Free is a good puzzle type game. The free version has 500 or so boards and then you have the option to buy another 1000 or so. I enjoyed the free ones enough that I actually spent the couple dollars to unlock another 1000 or so. *SongPop Free is a pretty good "name that tune" game. You can play against friends or random people(you don't have to talk to anyone) and you play at your own pace when time permits. *Traffic Rush is a pretty simple yet addicting game. Last edited by hngacurv; 10-31-2012 at 10:45 PM. Yardmaster is a fun time waster railroad game. Most fun game I have ever put on my phone. I have all the Angry Birds, cut the rope, fruit ninja, etc, but Plats Vs Zombies blows them away. ^ this one is even better. What game is that jdmvette? 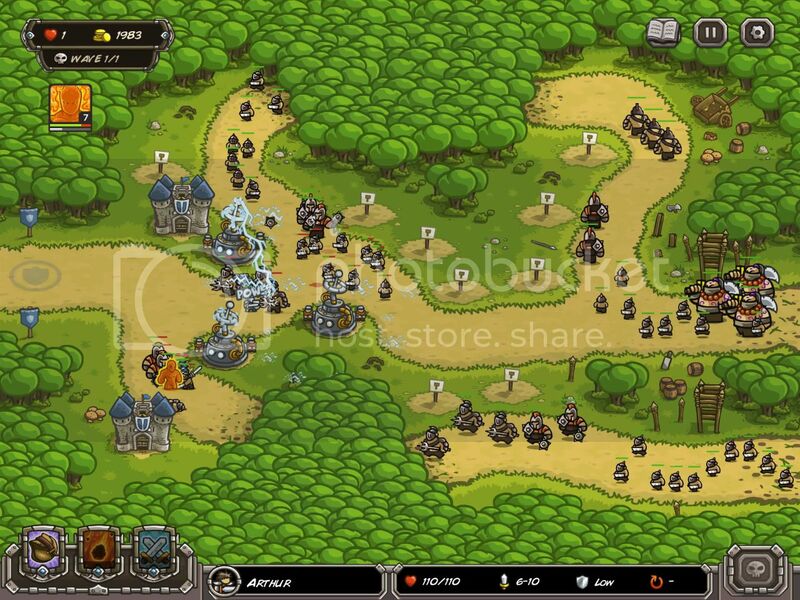 Kingdom Rush HD for iPad. The BEST tower defense style game out there. Thanks. I'll have to check it out. Like the tower defense type games on my tablet. Drag Racing is another one I play quite often. Spiders HD, was fun to play. Quick Reply: What are your favorite Iphone/Android GAME apps?